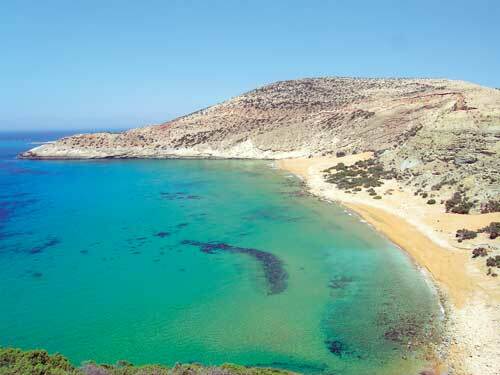 Potamos is a beautiful beach at the north west edge of Gavdos island with characteristic yellow-red sand. Potamos is accesible only by boat as the wind and the sea created unique formations on the slopes surrounding the beach. Nature sculpture at its best! An evanescent glimpse to the supernatural, a landscape charged with metaphysical vibrations!